Elizabeth A. “Boopa” Corsolini, 86, of Ladd, died peacefully on September 1, 2018 in St. Margaret’s Hospital in Spring Valley. Mass of Christian burial will be 11:00 AM Friday at Holy Trinity Church in Cherry with Rev. Ronald Margherio OSB officiating. Burial will be in Valley Memorial Park in Spring Valley. Visitation will be 4:00 PM to 7:00 PM on Thursday at Hurst Funeral Home in Ladd. Additional visitation will be in the church on Friday from 10:00 AM until time of services. Betty was born in Peoria on September 26, 1931 to John and Elizabeth (Eustice) Chioni. She married Donald J. Corsolini on November 4, 1950. 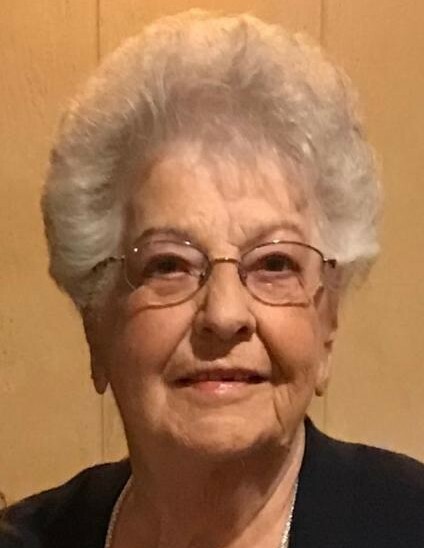 Betty was a beloved waitress and cook at Rip’s Chicken and Torri’s Ice Cream Parlor in Ladd. She enjoyed bowling and trips to the Casino Riverboat. She was a member of the Rip’s Chicks bowling team. Betty volunteered at the Bureau County Food Pantry. Her greatest loves were her family and friends. She is survived by six children, Barry “Chico” (Karen) Corsolini of Ottawa, Richard D. Corsolini of Ladd, Kristie (Ray) Marenda of Spring Valley, Lisa (Mark) Hoffert of Hollowayville, Maria (Mark) Bergagna of Spring Valley and Mary (T.J.) Zecca of Merrill, WI; 30 grandchildren and 20 great grandchildren; two sister-in-laws, Pamela Haughawout of Peru and Phyllis Chioni of Florida; several nieces and nephews. She was preceded in death by her parents, six sisters and one brother. Pallbearers will be Jason Corsolini, Matthew Corsolini, Zachary McGrogan, Colton Corsolini, Ryan Marenda, Larry Bickett, Tony Bickett, and Geno Zecca. Honorary pallbearers will be Joanie Pozzi and Ethel Lund.